There are only a few Nigerian artists who have managed to successfully raise budding musicians to superstars and also set a pace in several aspects of music for others to follow. Sound Sultan is one phenomenal Nigerian singer who commands so much respect for creating superstars and facilitating the development of modern hip-hop in the music community of Nigeria and beyond. With a career spanning over two decades, Sultan stands out as one African singer who pours out his thought and feeling through several genres and styles of music. He is well-versed in Afrobeat, reggae, hip-hop, and R&B. BuzzNigeria presents to you everything you need to know about Sound Sultan, including his bio, family life, and other facts. The singer is an accomplished Nigerian entertainer who started exploring the show business community in 1995 as a musician. From singing, Sultan grew to become a notable actor, record producer, singer-songwriter, comedian, and executive producer. His real name is Olanrewaju Fasasi while his date and place of birth are November 27, 1976, and Jos, Plateau State, Nigeria. The singer was born to Fasasi Adeyinka Ajarat (Mother) and Fasasi Liadi Alarape (Father), who are also parents to Sultan’s five siblings, including Baba Dee who is a graduate of Theatre Arts. The fourth child of his parents, Fasasi had his elementary education at Stepping Stone Nursery and Primary from 1981 to 1987, after which he enrolled at Federal Government College Ogbomosho for his secondary school education. He began studying at FGCO in 1988 and graduated in 1993. The entertainer is a graduate of Lagos State University, from where he obtained a degree in Geography and Regional Planning; that was in 1999. As gathered, Sultan began showing interest in music in the year 1991 while he was still in secondary school. At the time, he used to write his own lyrics and also mime at school parties. According to the singer, his elder brother Baba Dee was the first person who strengthened his love for music. From writing his own lyrics, Sultan began to take lessons on the guitar, after which he began to host shows in order to raise money for his musical career. By 1999, Sound had won several local talent hunt shows which helped him to release his debut single titled “Jagbajantis” in the year 2000. Following the success of the single, the singer went on to release other hit songs and also collaborated with some of his label mates. Sultan was signed to the record label Kennis Music at the time. He worked with the label until 2007 when his contract with Kennis expired, having released four albums under the label. The singer later started his own record label called Naija Ninjas with his brother Baba Dee. It was at this point that he began to explore other genres of music such as Soul, R&B, Fuji, and Afrobeat. As time progressed, the recording label began to grow from one level of success to another. Fast-rising singers like Karma Da Rapper, Shawn, Young GreyC, and Blacka are some of the artists that have worked with Naija Ninjas. Sultan’s years in the music industry have seen him work with several local and international stars. The singer is friends with Haitian rapper/actor Nel Ust Wyclef Jean. Sultan was featured alongside Nigerian singers Faze and 2face Idibia in Wyclef’s song “Welcome to Haiti: Creole 101”, after which he collaborated with the international star on two other songs titled: “People Bad” (2012) and “King of My Country” (2009). Sound Sultan has seven successful albums to his name. His latest album was released in 2016, a year after he made a major comeback after staying away from the music scene for a long time. Besides being a phenomenal singer, Sound is also a good actor. He scored his major acting role in 2014 in the universally acclaimed comedy movie, “Head Gone”. Produced by Sound Sultan and directed by Dare Fasasi, the comedy film featured Nigerian entertainments elites such as Akpororo, Tuface Idibia, Basketmouth, Pappy Luwe, Basorge Tariah, among others. The Afrobeat maestro has been married to Chichi Morah, who later changed her name to Farida Fasasi after she converted to Islam. The couple tied the knot on October 1, 2009, and has three children (two sons and one daughter) together. 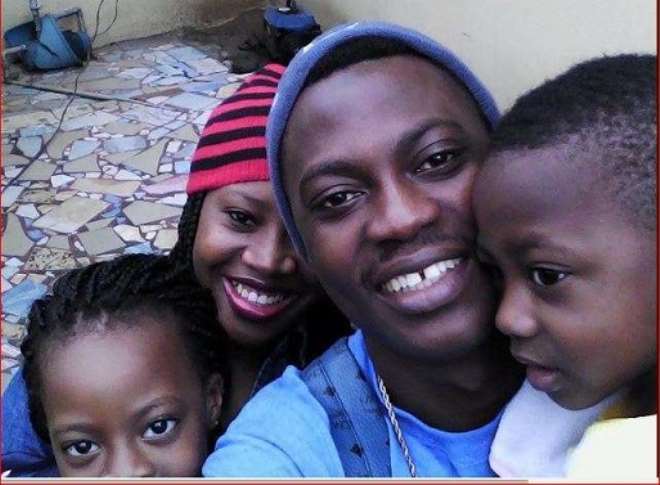 Sound Sultan reportedly bought a house sometime in 2016 in celebration of his 40th birthday. While we are yet to substantiate what his net worth is, we can tell he owns a basketball team called Lagos City Stars. The rapper was made a UN Ambassador for Peace in 2012 in honor of his exemplary lifestyle and impressive career.